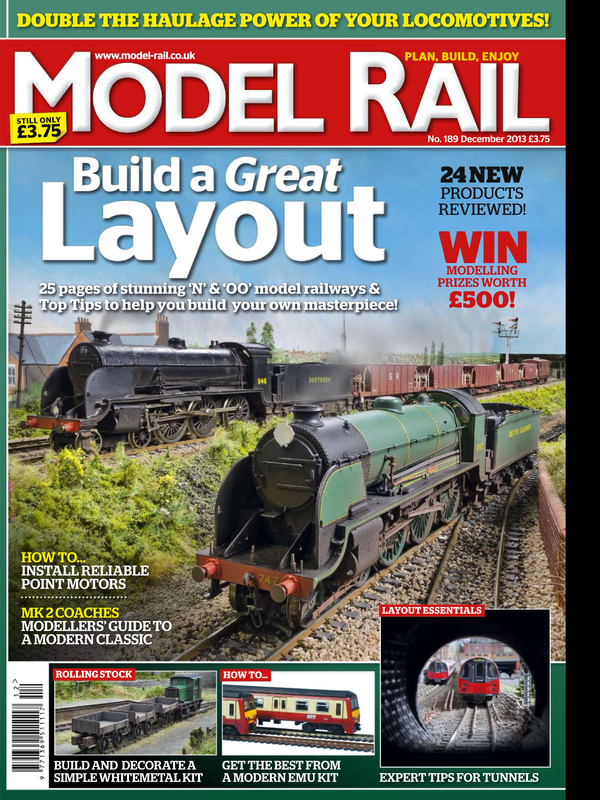 Although still October, the December 2013 issue (Number 189) of Model Rail Magazine has already hit the subscribers doormats and is also available via their iPad app. Copies hit the newsagent shelves on Thursday (31st October) and features an article about Fisherton Sarum. The article is written around a completely new stunning set of photographs by fellow modeller, friend and photographic genius Chris Nevard. As well as the obvious details about the layout the article focuses through some of the text and the great photography on my kit built rather than Ready-To-Run rolling stock. Those using the iPad app will also be able to view a gallery containing ten additional pictures not used in print along with a short video clip of the layout in action. I apologise in advance for the dodgy baseboard joint in the video clip as I wasn’t expecting to have to actually run the layout during the photoshoot! I hope you enjoy both the photography and the article and I welcome any feedback. Fisherton Sarum itself will next be in the public domain on 15th / 16th February 2014 at the Watford MRC Finescale Exhibition see my exhibition page for further details of this show and others booked for next year. Should be a good read – enjoyed the display at Warrington last week! Hello Graham, I’ve at last acquired my copy of the Fisherton Sarum edition of MR. A most enjoyable and informative article with some amazing pictures by the genius Mr Nevard himself (I shall see him on Thursday at The Gas Cupboard). Of course, we regular readers of your blog feel that we know it all already and that Fisherton Sarum is as familiar to us as our own layouts. Nevertheless, I’m very much looking forward to seeing you and FS ‘in the flesh’ at Wilton next year. Thanks for your kind comments I’m glad you enjoyed the article.